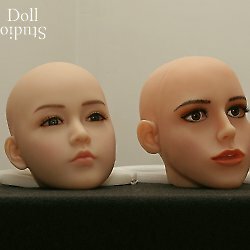 Recently, AS Doll released new photos with the AS-166/D body style and ›Elena‹ head. The AS-166/D is a life-sized TPE love doll with a muscular body shape and natural breasts. To view more pictures from New photos with AS Doll AS-166/D body style and ›Elena‹ head, please click on the thumbnails on the left.